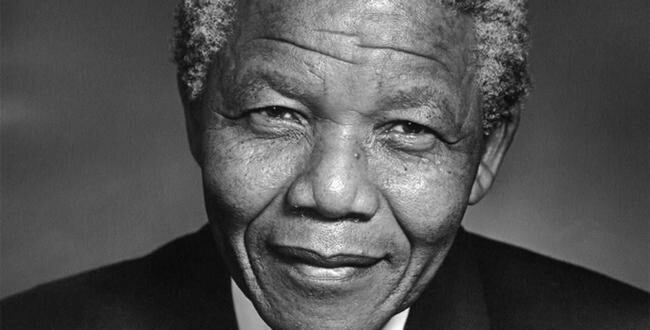 It’s hard to believe that it has already been a year since the passing of our beloved Dr Nelson Mandela. He still looms larger than life over this nation and his immeasurable contribution to the country stands as a monument to him. Madiba was integral to the ushering in of democracy in South Africa, and he led our country with distinction, stature and humility throughout his presidency. He is recognised worldwide in perpetuity as a giant among men; an iconic leader who fought throughout his life not only for equality, but for the basic human rights of all. With his golden touch, Nelson Mandela raised the stature of South Africa to that of a leading African nation. Without his legacy and in acknowledging the many who sacrificed their own lives and countless communities across our nation, South Africa would not have become the flourishing country that it is today. Our economy would not have achieved the gains it has in the last 20 years. His visionary, inclusive and even-handed leadership provided the building blocks on which our vibrant democracy has been built. The political sacrifices he made during his lifetime continue to benefit everyone in our country. Those sacrifices will never be forgotten. In an address to the Chamber of Mines shortly after his election in 1994, Nelson Mandela said this about the South African mining industry: “The mining industry, by virtue of the place it occupies in our economy, is in a position to make a special contribution to the transformation of our society, which should have as its central objective, improving the quality of life of all its citizens.You have the capacity not only to be a reliable economic generator for South Africa and the region as a whole, but also to contribute to the building of a society freed from the faults and fissures which marred our past”. 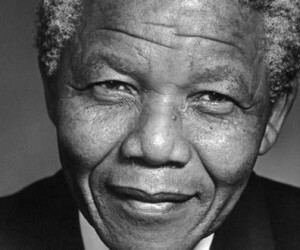 In memory of Nelson Mandela, the South African mining industry remains committed to following this path and continues to draw from his visionary leadership. To quote the great man again, “We must use time wisely and forever realise that the time is always ripe to do right”. As the largest mining company in South Africa, Anglo American will continue to strive to emulate his achievements by committing wholeheartedly to making a real difference in the prosperity and sustainability of our citizens. Together with the rest of the mining industry, we will continue to do our utmost to shadow Madiba’s legacy by making a real and lasting difference to the prosperity, health and wellbeing of all our stakeholders in South Africa. Anglo American has a proud history in South Africa and remains committed to the country's development. The South African mining industry remains one of the most important foundations of our country’s economy. We at Anglo American recognise our on-going responsibility to help South Africa address the legacies of its past by helping to alleviate the triple challenges of poverty, inequality and unemployment. We are confident that together with government and labour, we can find ways to address these challenges. We understand the key role of Anglo American and the broader mining sector in moving South Africa from where it was, to where it needs to be. It is critical that we measure the tangible progress made by the sector on the key pillars of transformation – from ownership to employment equity, procurement and mine community development. In emerging economies like ours, we recognise our responsibility to work in partnership with government to help to build a brighter, more inclusive future. The private sector is indeed uniquely placed to contribute, by aligning its efforts with the critical milestones in the National Development Plan. As a major player in corporate South Africa, Anglo American is committed to identifying programmes and seeking partnerships that focus on alignment with these national strategies ensuring we co-create shared value. By working in partnership both with government and our host communities, we can harness our various strengths and resources and build an enabling environment for economic development. I would like to believe that Madiba would give his stamp of approval to these initiatives.